Whether it's a foreclosure summons, a credit card company threatening to sue you, worries about your car being repossessed or constant phone calls from debt collectors, there is a solution. Meaningful debt relief is within your reach. Our law firm can help you get it. 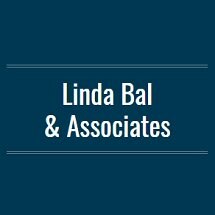 At the law office of Linda Bal & Associates, we have been helping people and small businesses in DuPage County and the Chicago area successfully navigate the bankruptcy process, halt foreclosures, stop creditor harassment and start fresh financially for more than 20 years. Today, we're here for you, ready to take the fear and uncertainty out of bankruptcy with clear information, honest answers and quality legal services. An initial consultation with one of our attorneys will cost you nothing. What you will gain at the very least, however, is an accurate picture of your financial situation, your debt relief options and how our law firm can help you. Clients repeatedly compliment us on our ability to explain the issues and processes in clear and easily understandable terms. We take great pride in this and in the personal service we provide our clients in every case. If you're plagued by debt, filing Chapter 7 bankruptcy may be the most effective way to protect yourself from creditor harassment and get a fresh start. While most consumers opt for Chapter 7, this type of bankruptcy isn't the right solution for everyone. In fact, it isn't even an option if you have received a bankruptcy discharge in an earlier case filed within the past eight years. We can help you determine whether Chapter 7 makes sense for you and provide the legal help you need to make the most of that opportunity. Our flat fee of $795 plus court costs for most Chapter 7 cases and the free consultation we offer reflects our understanding of your current financial situation. A Chapter 13 bankruptcy filing consists of a reorganization or repayment plan in which the debtor makes payments to a trustee over a three- to five-year time period. This plan will stop foreclosure, repossessions and wage garnishments. In some cases, it is even possible to eliminate a second mortgage. We offer a no money down program in Chapter 13 cases for qualified wage earners. How does it work? Simple. Our legal fees are factored into the repayment plan, and we receive payments from the trustee as part of that plan. Bankruptcy's automatic stay stops foreclosure actions from proceeding until your bankruptcy case is resolved. We can help stop foreclosure proceedings by filing a Chapter 7 or Chapter 13 bankruptcy, keep your home (depending on the circumstances) or at least buy valuable time for you to make a transition. We can not tell if Foreclosure Defense or Bankruptcy is better for you until we fully understand your circumstances. In some cases, as the Chapter 7 Bankruptcy wipes out your unsecured debt, (credit cards, medical bills, amounts due for repossessed vehicle) lenders are willing to modify your loan; we can help you with the Loan Modification. In some cases the Chapter 13 Bankruptcy will wipe out your second mortgage and in these cases it is your better option. Talk to us, we will work with you to gain full understanding of your situation and advise you what legal strategies are available to you. There's no better time to call and no reason to wait. To meet with an attorney at our law office in Itasca, located across the street from the Metra Milwaukee District Station, contact us online or call 630-285-0255. You can also schedule a daytime, evening or weekend appointment at our offices in Chicago, Naperville or Huntley by calling us toll free at 866-789-1040. The law firm of Linda Bal & Associates is a debt relief agency committed to helping clients in DuPage County, Cook County, Will County, Kane County, McHenry County, Kendall County, Lake County and other parts of Illinois file for bankruptcy relief under the provisions of the U.S. Bankruptcy Code.